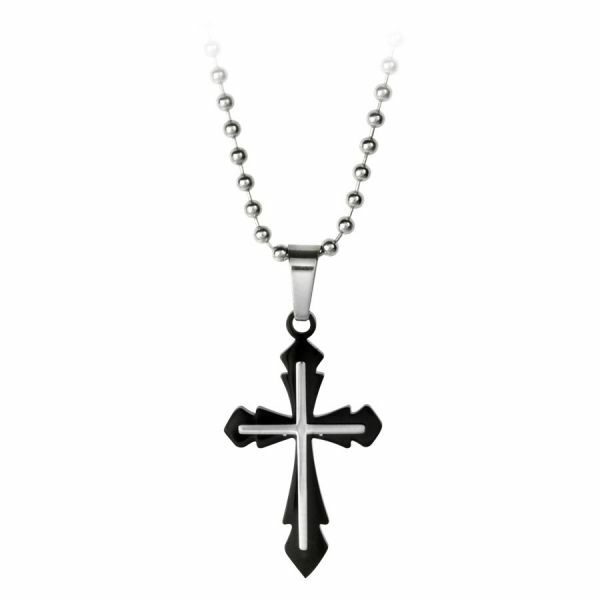 The pendant of the Fancy Cross necklace is made of stainless steel with black PVD coating, the chain is also made of stainless steel. The chain length is 75cm, the pendant is 47mm long and 28mm wide. 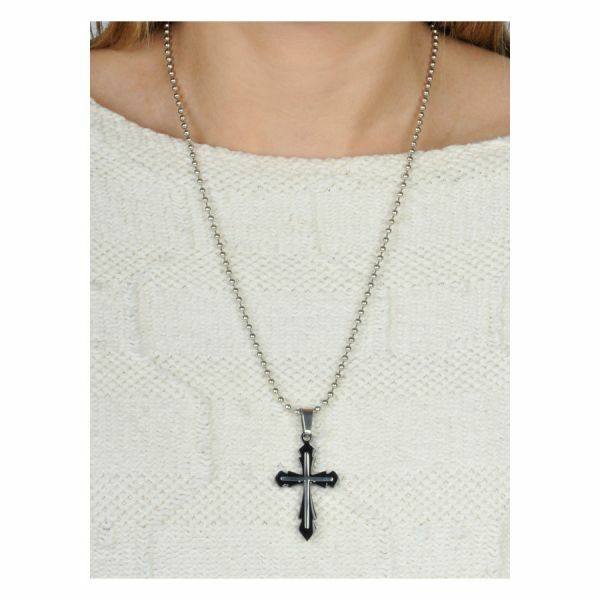 The cross pendant is a real eye catcher.